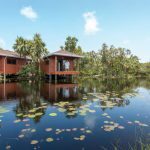 A Place That Inspires The Mind – Enchantment Resort. 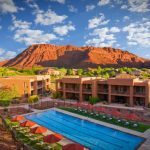 As you drive through the gorgeous Red Rocks from Sedona to Enchantment Resort and Destination Spa, it almost steals your breath. Surrounded by multi-colored mountains and nestled in the exquisite Boynton Canyon, you start to feel like a different person as Enchantment envelopes you in a restful escape for body, mind and spirit. 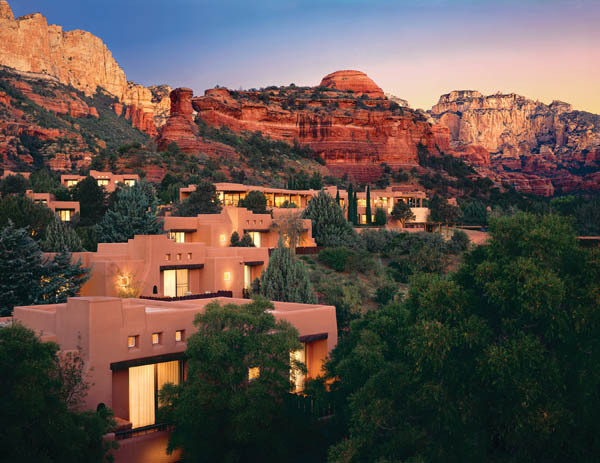 Enchantment, a Preferred Hotel and Resorts member, boasts 218 guestrooms, ideal for couples and families, plus inspiring activities that incorporate Sedona’s beauty and energy. 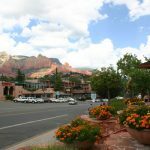 Choose from a variety of packages to suit your needs from B & B, tennis, golf to Sedona Adventure and Family Outdoor Getaways. For children 4 – 12, Camp Coyote will expand their knowledge with nature fun and Native American history. There’s good reason guests return. Many reserve their next spot before they leave. I heard one woman say it was her 14th time! Enchantment Resort photographs taken in June, 2006. Please include photo credit whenever possible. 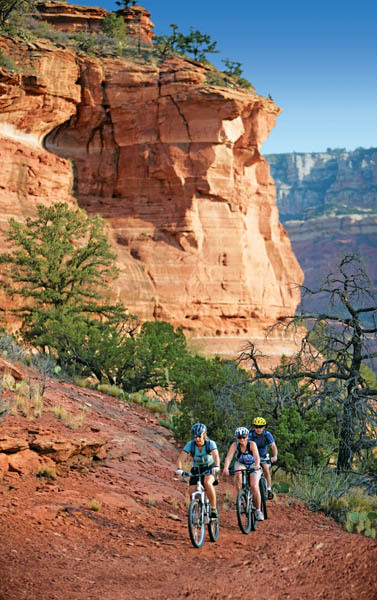 Hiking, Biking and So Much More! 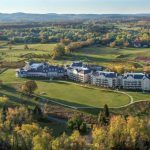 With classes in exercise, yoga, morning rituals, vortex walks and guided meditation, there are more than a 100 complimentary activities to inspire your retreat. The resort provides an extensive list of hiking and mountain biking trails, (optional guided tours, too) differing in elevation and length. 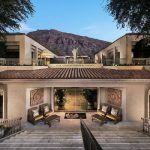 Hit the links at Seven Canyons, an 18-hole, par 70 Tom Weiskopf-designed course open only to resort guests and club members. Located on the grounds of Enchantment, the exclusive 24,000 sq. 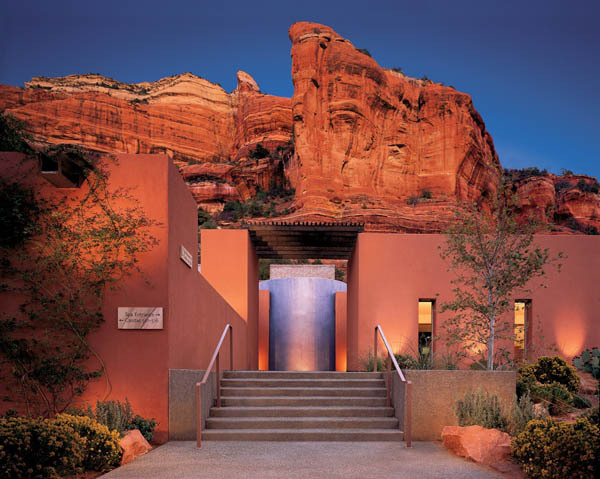 foot Mii Amo Spa is ranked among the top among the top in the U.S., inspired by Native American wisdom and traditions. 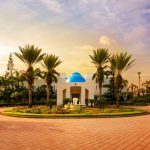 “The all-inclusive, holistic experience is designed to help guests find balance and harmony through therapies, workshops and activities” said Ashley Sheen, Director of Communications for the Enchantment Group. 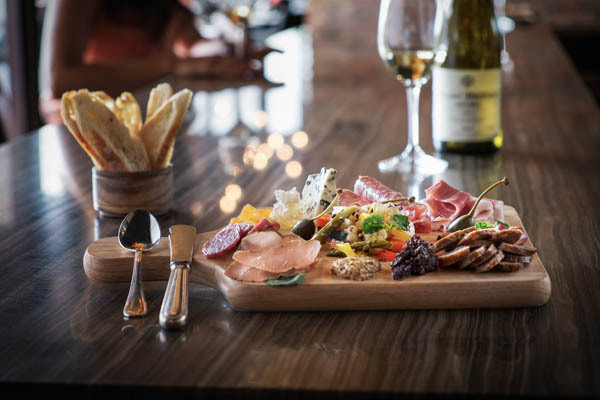 “People come back refreshed and renewed.” Choose from 3, 4 and 7 night journeys that include luxury spa accommodations in one of 16 spa-style guestrooms, gourmet dining and two spa services every day. For those who desire, breaking bread in robes is acceptable attire. And, a community table in the Mii Amo café lets guests share their journeys.Unique to the spa are various restorative treatments, steeped in nativeYuman tradition in 60 and 90 minute sessions. 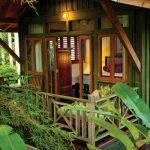 Massage, body wraps, Ayurveda, facials and spiritual sessions open the pathways to renewal. Highly skilled therapists use custom-blended oils and lotions to promote optimum healing and wellness. My hydrating facial was set in a room with an open window to the mountains, making the experience that much richer. 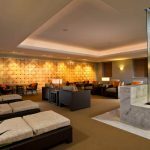 “Before you arrive, a personal spa coordinator will customize your itinerary with you to plan the perfect getaway for your needs,” added Sheen. “Our holistically-centered approach will ensure your physical and spiritual goals are met. People tell us that their lives were positively impacted from their experience and that’s the reason so many come back,” said Sheen.